AMMAN, Reuters - President Donald Trump has a made a decision on the United States' strategy for Afghanistan after a "sufficiently rigorous" review process, Defense Secretary Jim Mattis said on Sunday. However, Mattis did not provide details on when the White House would make an announcement or what the decision was on Afghanistan, where fighting still rages more than 15 years after U.S. forces invaded and overthrew a Taliban government. Soon after taking office in January, the Trump administration began a review of U.S. policy on Afghanistan, which has expanded into a broader South Asia review. "I am very comfortable that the strategic process was sufficiently rigorous and did not go in with a pre-set position," Mattis told reporters traveling with him aboard a military aircraft to Jordan. "The president has made a decision. As he said, he wants to be the one to announce it to the American people." good case for trying to save the situation. of battlefields/fronts ... it really is the same enemy. President Trumpâ€™s â€œAmerica Firstâ€� base was the biggest loser of Trumpâ€™s speech on Afghanistan Monday night, and many quickly expressed their disappointment at the business-as-usual address from the president who had once promised to limit American intervention abroad and focus on nation-building at home. Trumpâ€™s speech, in which he pledged to increase the number of troops in the 16-year-war, was the first since the departure of Chief Strategist Steve Bannon and confirmed the fears of many on the right that without a strong nationalist voice in the West Wing, the President would revert to the same old fare that Americans had voted to reject in November. Using many of the same vague promises that previous presidents had used, including a repeat of Obamaâ€™s promise not to give a â€œblank checkâ€� to Afghanistan and a pledge to finally get tough on Pakistan, it was a far cry from the â€œAmerica Firstâ€� foreign policy he laid out in the months before election day. for leading DJT down this road. Great, they needed it; Alex ran a pretty good propaganda line: I am really wondering about Alex, he is buying into the whole deception. If Trump was going after the terrorist he should start in his back yard, Obama, Hillary, Commey, Lynch, etc. etc you cut off their moneys they will collapse on themselves. Russia was doing a good job against McCain's gang, Trump is either BS us and is comprised or he is playing a strange game. Session is a piece of S#!+ and part of the deep state and needs to be removed or straighten out. They need to start the purge of the enemy of state, Democrats, News Media, RINOs start interning these criminals, George Soro and his ilk, the banksters ie..... Goldman, Wells, BOA, etc....... and especially the FED, so if your going to be serious that's the right way to go, all the rest is just BS and I think Trump needs to own up to 911 was an inside job. the Clinton's/DNC more than is generally known. The talk was of going into Afghanistan really hard, and then be able to pull out safely. Like Hanoi in Vietnam? So, how many refugees from this situation. Only now, they're millions from Afghanistan and Pakistan. Sounds like a muslim influx to me. New World Order's prime objective with America at this time -- happening. What a cute little McMaster plan. And no, we don't need to set them all up in a business like fingernail salons. Call me a idealist; but 911 was and inside job and if we are going to ignore this and stay in Afghanistan then the hoax goes on. These people sold out America for filthy lucre. And scripturally if we do nothing as we have been; then the results will conitnue to drag us down. And as you notice they are fully set to do evil; so are we going to just let it go? I haven't always agreed with Steve Pieczenik but that was a much needed counter argument. Especially after Syria, where we've already seen Trump go a bit sideways since the cruise missile attack. I was never expecting peace in our time but I'm also not changing my entire worldview just because a different guy's in office. This is the full interview, by the way. Some of the clips seem to cut it short. election? Bill Kristol ... really? Jeb Bush? 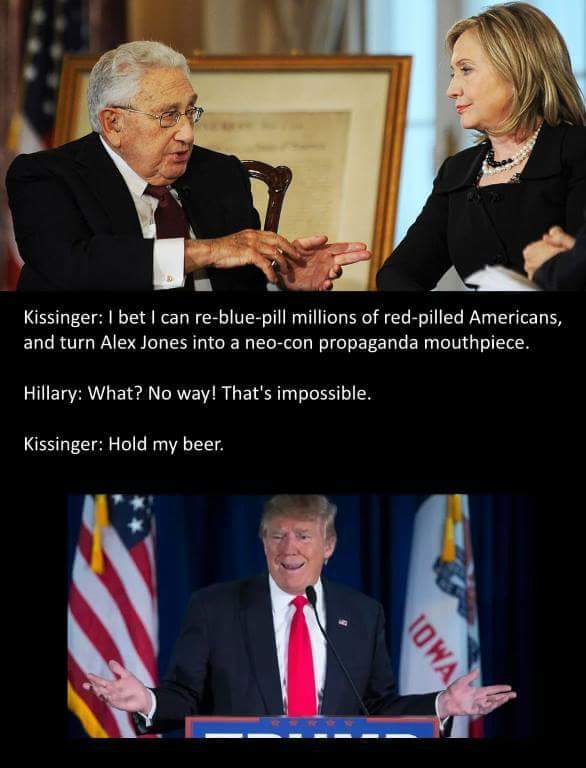 Kissinger ... no way JosÃ©! he, too, is old news. their worhthless asses .. sit back and watch. ISLAMABAD, Pakistan â€” President Trumpâ€™s appeal for Indiaâ€™s help on Afghanistan set off alarm bells on Tuesday in Pakistan, where officials warned that the approach risked jolting a tumultuous relationship. They also expressed relief that Mr. Trump did not call for abrupt reductions in military aid to Pakistan, which the United States has long accused of going easy on militants. â€œWe have been paying Pakistan billions and billions of dollars at the same time they are housing the very terrorists that we are fighting,â€� Mr. Trump said on Monday, although he stopped short of cutting off military aid, as some Pakistani elites had feared. Pakistan and the United States have long had a troubled relationship, increasingly strained by differences over Pakistanâ€™s role in Afghanistan. Even before American military and intelligence operatives tracked down and killed Osama bin Laden in Pakistan in 2011, American officials chided Pakistanâ€™s military and intelligence agency as harboring or turning a blind eye to militants. From Zulfikar Ali Bhutto to AQ Khan to today, Pakistanâ€™s security cooperation with North Korea has a 40 year history. On August 23, 2016, Pakistani Prime Minister Nawaz Sharifâ€™s Special Assistant on Foreign Affairs, Syed Tariq Fatemi, embarked on a four day trip to Belarus and Kazakhstan. As Belarus and Kazakhstan are strongly opposed to nuclear proliferation, Sharif sent Fatemi to the CIS region to bolster international support for Pakistanâ€™s bid to join the Nuclear Suppliers Group (NSG), which rival India is also actively seeking to join. The Pakistani government hopes that Islamabadâ€™s NSG accession will ease concerns about the potential distribution of Pakistani nuclear weapons to terrorist groups. Even though China enthusiastically supports Pakistanâ€™s NSG bid, Pakistanâ€™s partnership with North Korea could derail Sharifâ€™s aspirations of joining the non-proliferation organization. Since the 1970s, Pakistan and North Korea have cooperated extensively on the development of ballistic missile and nuclear weapons technologies. Pakistanâ€™s strong alliance with China and the legacy of a major scandal linking the Pakistani military to North Koreaâ€™s nuclear program have prevented Islamabad from joining UN efforts to diplomatically isolate the DPRK. Did Pakistan Make North Korea A Nuclear Power? Readers would remember that remarkable confession of Dr A Q Khan, Pakistanâ€™s infamous â€˜nuclearâ€™ scientist. It was on 4 February 2004 when Khan appeared on the television and confessed to having supplied nuclear technology and components to North Korea, Iran and Libya. Khan accepted his crimes in English and not in Urdu, which is the language understood by most Pakistanis. That telecast was actually for the international audience, especially the United States and the European intelligence agencies. Khan explicitly mentioned that this proliferation network was entirely his own and the Pakistani government or authorities were never involved. Here, it is interesting to note that after Pakistanâ€™s nuclear tests in 1998, a US sniffer aircraft flew over the test sites and took air samples. The Los Alamos nuclear laboratory tested those samples and found that the final test(s) was conducted using plutonium as fuel. Now, Pakistan had left the plutonium route long ago in 1975 when Khan bought stolen centrifugal technology from Europe where he was working for URENCO as a technical translator. So why did they detonate a plutonium device? CIA believed that Pakistan tested a North Korean nuclear device based on plutonium fuel. The CIA and Western agencies had reasons to believe that. If we check Western intelligence agenciesâ€™ declassified information and investigative work by leading journalists, it becomes clear that their cooperation started long ago. Apart from China, Pakistan was the only major country in the world who not only maintained diplomatic relations with North Korea but received weaponry from them. But the cooperation in nuclear and missile field started in the late 1980s. Even though Pakistan became a vital ally in the U.S. war on terror after the 9/11 attacks in 2001, Islamabadâ€™s military cooperation with North Korea continued under Pervez Musharrafâ€™s watch. In 2002, U.S. officials announced that Pakistan had exported gas centrifuges to help North Korea enrich uranium and construct a nuclear bomb. While Pakistani military officials denied their involvement in this scheme, the reportâ€™s release did not trigger an official downgrade in the Islamabad-Pyongyang security partnership. Even though Pakistan has avoided overt military cooperation with North Korea in recent years, Islamabad remains unwilling to fully comply with U.N. sanctions against the North. Although the last regular sea cargo route between Pakistan and North Korea was suspended in 2010, NK News recently reported that at least one major Pakistani company offers shipping service to Pyongyang. In recent months, many Indian media outlets have released reports on Pakistani nuclear technology sales to North Korea. These allegations remain unsubstantiated. However, the presence of a North Korean consulate in Karachi and an embassy in Islamabad demonstrates that U.N. sanctions have not hindered diplomatic cooperation between the two. while all along piling up the Yankee dollars$$$. 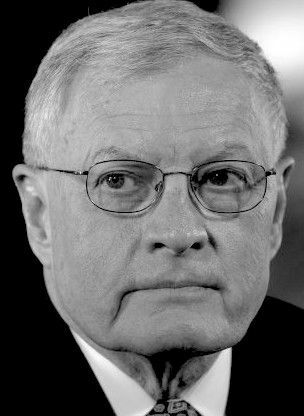 Swiss President Pascal Couchepin announced May 23 2008 that his government destroyed files associated with a case against Swiss nationals suspected of involvement in the illicit nuclear trafficking network run by Pakistani nuclear official Abdul Qadeer Khan. The destruction of the documents, collected by Swiss authorities in 2004 as evidence against Urs Tinner as well as his brother Marco and their father Friedrich, might harm the criminal prosecution of their suspected activities. The documents included digital copies of a design for an advanced nuclear weapon believed to be of Pakistani origin. This design may have been shared with other members of the Khan network or with Khanâ€™s suspected customers, such as Iran and North Korea. A seven-year effort by the Central Intelligence Agency to hide its relationship with a Swiss family who once acted as moles inside the worldâ€™s most successful atomic black market hit a turning point when a Swiss magistrate recommended charging the men with trafficking in technology and information for making nuclear arms. â€œItâ€™s like a puzzle,â€� Andreas MÃ¼ller, the Swiss magistrate, said at a news conference in December 2010. In September 2012, Urs Tinner, 46, his brother Marco, 43, and their 74-year-old father, Friedrich, accepted the charges against them in return for prison terms that are shorter than the time they have already spent in investigative custody. Ruud Lubbers, a former Dutch prime minister, revealed in August 2006 that the Dutch authorities came close to arresting Khan twice â€” first in 1975 and later in 1986 â€” but the CIA requested that they let him act freely. Dutch intelligence had suspicions that Khan was stealing nuclear secrets in the Netherlands. They began to monitor him as soon as he arrived at the Physical Dynamic Research Laboratory. However, according to Lubbers, the countryâ€™s security agency asked the Ministry of Economic Affairs in 1975, then headed by him, not to act against Khan. Lubbers suspects that Washington allowed Khanâ€™s activities because Pakistan was a key ally in the fight against the Soviets. At the time, the U.S. government funded and armed mujahideen such Osama bin Laden. They were trained by Pakistani intelligence to fight Soviet troops in Afghanistan. The â€˜Libyan Nuke Projectâ€™ was a â€˜sting opâ€™ run jointly by the CIA and MI6 (and perhaps other Western Intelligence agencies). Quite possibly, the CIA and MI6 have gone as far as providing some components to the Khan network. The vacuum pumps were manufactured by a German company: Pfeiffer Vacuum. According to the company, these vacuum pumps were sent to the U.S. nuclear weapons research facility in Los Alamos. â€œHad we found WMDs in Iraq, there would have been no BBC China story,â€� admits an American diplomat, a smile on his face. The primary mission of an Intelligence Agency is to protect itself and its image. Once in a while, the Agency needs a success story. When there is none, they make one up. Soon or later, a â€˜presstituteâ€™ will happily report the story in the New York Times, the WSJ and other mainstream media. I have seen the devastation of war. I have witnessed the final moments of young men in distant lands, far from all they love and hold dear. I have watched my daughter deploy to combat in Afghanistan and soon might my son. I recognize the personal courage required to make difficult decisions. I know the cost of war. More importantly, I know the price of freedom. Monday night President Trump announced to the Nation the recommitment of Americaâ€™s will, military, and diplomatic might to the fight in Afghanistan. He signaled to all that this Nation will not back away from hard sacrifice to ensure our safety. Undoubtedly, you will hear the hue and cry from the Presidentâ€™s detractors recalling a need to withdraw from Afghanistan and their rallying cries of failed campaign promises and abandonment of America First. Do not listen to them. Our Presidentâ€™s decision reflects an understanding that the promise to Make America Great Again must include cleaning up the mess left behind in Afghanistan from the fits and starts of the past 15 years. The President does not have the luxury of starting from nothing, of beginning from scratch. .... We will fight those that threaten us wherever they may be. We will fight them at night, in the day, in their supposed sanctuaries. We will give them no rest nor will we grow weary. 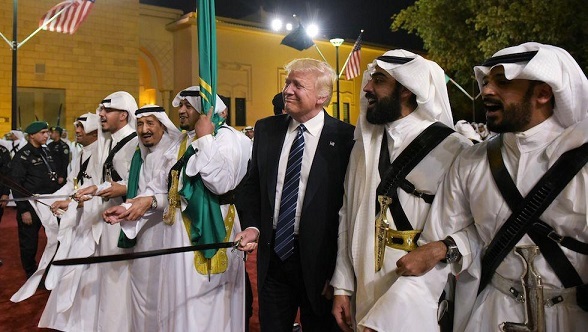 While our brave men and women in uniform are waging battle on the ground and from the air, President Trump will be using every diplomatic and economic tool at his disposal to bring about an end state that does not allow another country to become a breeding ground for radical Islamic terrorism. The President has made the necessary hard decision. It is what all of us, as Americans, expect from our Commander in Chief. President Trump has demonstrated the courage to lead, the confidence in our military to deliver results, the trust in our diplomats to bring peace, and faith in our citizensâ€™ patience to see our Nation to victory. You do realize a 1 megaton logic bomb that has been detonated ? the heat was turned up. avoids also the meat grinder, the waste of lives and treasure ..."
Center for Security Policy President Frank Gaffney joined SiriusXM host Raheem Kassam on Wednesdayâ€™s Breitbart News Daily to discuss President Trumpâ€™s announcement of his strategy in Afghanistan. Gaffney said it remains to be seen whether Trumpâ€™s approach to Afghanistan is â€œdifferent enoughâ€� from that of previous administrations to make a difference. â€œDo it with a small number of CIA personnel and some contractor support, basically backing up, and helping to lead, and helping to train, and helping to discipline, and helping to make more effective Afghan forces than we have proven to do thus far with this big army, big footprint approach,â€� he recommended. "Thanks to the vigilance and skill of the American military, and of our many allies throughout the world, horrors on the scale of Sept. 11 â€” and nobody can ever forget that â€” have not been repeated on our shores." "9/11, the worst terrorist attack in our history, was planned and directed from Afghanistan because that country was ruled by a government that gave comfort and shelter to terrorists." "A hasty withdrawal would create a vacuum for terrorists, including ISIS and Al Qaeda, would instantly fill just as happened before Sept. 11." I agree with a lot of Luke's vid but I don't think it's technically a dupe if the candidate or party intended to actually keep their promises at the time of making them (which he even suggests in the case of Trump). Unless he's saying that people are dupes for supporting policy flip flops or pretending they don't exist. In which case I'd generally agree. The establishment were always going to fight hard. Just as they are with Brexit. If we spot an opportunity and still end up losing, at least we've made them work for their money. is believed to be providing safe haven for terror groups ..."
Pakistan has responded to the latest salvo of accusations from the U.S. that itâ€™s harboring terrorists by suggesting the U.S. military is not doing enough against terror havens in Afghanistan. Following statements from President Donald Trump, Secretary of State Rex Tillerson and National Security Council spokesman Michael Anton bashing Pakistan for harboring terrorists, the office of Pakistani Prime Minister Shahid Khaqan Abbasi released a rare statement in response. â€œWe would like to see effective and immediate U.S. military efforts to eliminate sanctuaries harbouring terrorists and miscreants on Afghan soil, including those responsible for fomenting terror in Pakistan,â€� the prime ministerâ€™s office said in a statement, Reuters reports. "... Pakistanâ€™s Foreign Minister Khawaja Asif complained that Washington was using Pakistan as a scapegoat to cover up its military failings in Afghanistan." President Donald Trumpâ€™s supporters will pay a bloody price for his abandoning his â€œoriginal instinctâ€� on Afghanistan. Although Trump refused to say how many American troops he would commit to Afghanistan to carry out his escalation, it is a certainty that many of those breathing their last breaths there would be from the places that delivered him his electoral victory last November. A recent study found that there is a significant relationship between the support for Trump in a county and the countyâ€™s rate of casualties from wars in Iraq and Afghanistan. These are places that voted for Trump because they had suffered enough in our wars and wanted a president who promised a change. Afghanistan has been called the â€œgraveyard of Empires,â€� as so many attempts by outsiders through history to conquer it have foundered. America has spent $117 billion in its war in Afghanistan over the past 16 years. 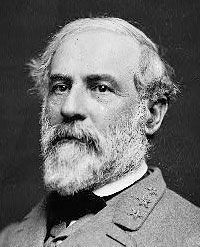 More than twenty-thousand Americans have been wounded in the fighting. More than 2,300 Americans have been killed. Escalation raises the possibility that Afghanistan could become the graveyard of the Trump administration, the place where Trumpâ€™s presidency breathes its final breath. avoid the mistakes made in Iraq." US troops to the country to fight against the resurgent Taliban. Ashraf Ghani thanked the US for supporting "the joint struggle against the threat of terrorism". Donald Trump has committed the US Army to the open-ended conflict, despite previously advocating its withdrawal. The Taliban responded by saying it would make Afghanistan a "graveyard" for US forces. Mr Trump offered few details on the plan, but singled out Pakistan for criticism for offering "safe havens" to extremists. Welcoming the plan, Afghan President Ashraf Ghani said Mr Trump's comments showed America was "with us, without any time limit". "I am grateful to President Trump and the American people for this affirmation of support... for our joint struggle to rid the region from the threat of terrorism," he said in a statement on Tuesday. The new strategy, he said, would enhance the training of Afghan security forces. Nato chief Jens Stoltenberg praised the move and said the alliance, which has about 12,000 troops in Afghanistan, would not allow the country to become "a safe haven for terrorists who would attack our own countries".